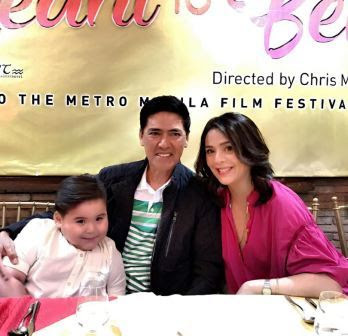 GabRu and Dawn Zulueta-Vic Sotto Tandems on "Meant to Beh"
Fans will definitely get more exciting to see their favorite love teams to reunite in one huge movie for MMFF 2017. 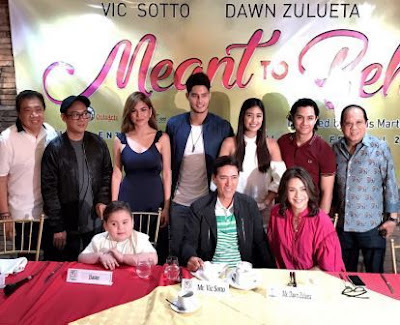 GabRu or the loveteam of Gabbi Garcia and Ruru Madrid and Dawn Zulueta and Vic Sotto tandem were all set for the family romcom movie, "Meant to Beh." This is Vic Sotto's comeback movie entry for the 2017 Metro Manila Film Festival. This movie is actually the reunion of GabRu in the big screen after their successful tandem in the GMA TV series like "Let the Love Begin" (2015) and "Encantadi" (2016). If we're not mistaken, this is actually their first movie together in the silver screen. On the other hand, Vic and Dawn reunited after 30 years. They were first teamed up way back in 1987 in the ABS-CBN fantasy TV program "Okay Ka Fairy Ko." Joining Vic, Dawn, Gabbi, and Ruru in the said movie are Daniel Matsunaga, JC Santos, Sue Ramirez, Andrea Torres, and Baby Baste. Produced and distributed by OctoArts Films, M-Zet Productions and APT Entertainment and under the direction of Chris Martinez, "Meant to Beh" is set to hit the theaters this December 23 as an official entry to the 2017 Metro Manila Film Festival.